A modern lifestyle within one of the fastest growing regions in all of Canada. Affordable price point within walking distance of major transportation routes, incredible shopping and international cuisine. This is what the downtown Richmond Altis Condos can give any home buyer. This modern lifestyle at the convenience of your fingertips. The new Richmond Altis Condos for sale are centrally located within minutes of the Canada Line SkyTrain Station to zip you throughout Richmond, YVR and to downtown Vancouver. Not only that, but you are also just steps away from Richmond Centre shopping and dining, just minutes away from the preconstruction Richmond Altis Condos. This is one of the top Richmond BC condo projects in 2012 and now is your opportunity to purchase. If you wanted to purchase a new home in the heart of the downtown Richmond real estate market, the new preconstruction Richmond Altis Condos will give you everything you want to see and do in this ultra multi cultural city with a vibrant arts and cultural theme, incredible outdoor and indoor recreational hubs as well as a close proximity to international shopping malls like Aberdeen Centre and Yaohan Centre. Also close by the new Altis Richmond condo tower is the SkyTrain Line and many bus routes. Or you can take your bike anywhere, or you can also walk along many of Richmond BC’s pedestrian friendly walkways and streets. Get to downtown Vancouver in 25 minutes time. Where else can you find this perfect blend of great location, affordable price point, luxury interior finishes and a growing/exciting community? Nowhere but at the new Altis Richmond condos for sale, that’s for sure! One of the many great features here at Altis Richmond real estate development is its understated elegance and high-end features list. There are no promotions for these exceptional design features and finishes like many other projects. Instead, these high end finishings are all standard right here at the new Richmond Altis condos for sale. The abundance of natural light into your living space is of utmost importance to many homebuyers as is your need for privacy and low maintenance living. Every detail in terms of space and rooms, storage and security have been carefully designed and planned for you, the Altis Richmond home buyer in mind. 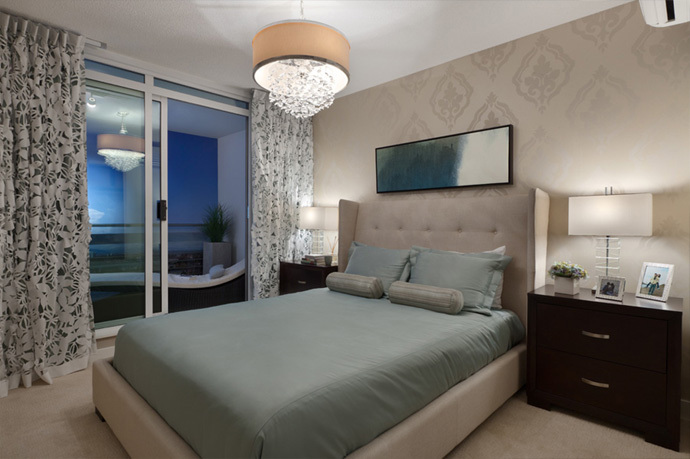 In addition, the preconstruction Richmond Altis condo tower will feature magnificent interior finishing palettes for you to choose from, with details including expansive floor to ceiling operable windows, very wide and spacious living rooms and baseboards/door casings that are contemporary yet elegant. Other interior features here at the new Altis Richmond BC condo tower includes premium hardwood flooring in the main living spaces in addition to air conditioning units. 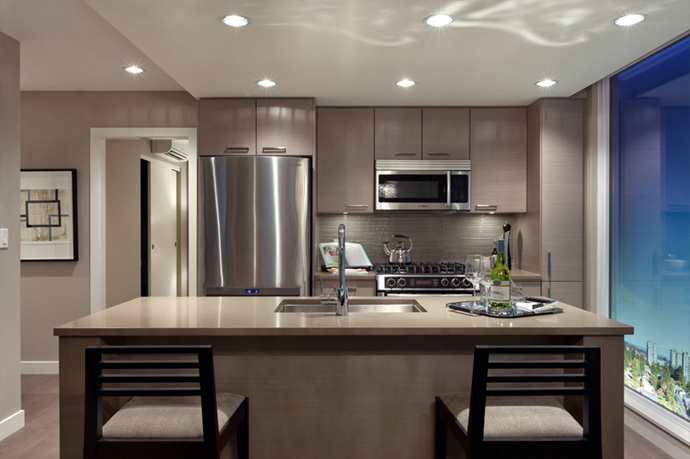 The kitchens at Altis Richmond condos will present premium flat-panel cabinetry, high-end stainless steel appliances and sink with single lever faucet, above the range microwave, wine storage and breakfast bars/kitchen islands in some floor plans. The sinks are double bowled and all homes at the preconstruction Richmond Altis condos will have in suite washer/dryer as well as dishwasher. The composite stone counter tops are elegant and sophisticated as well as low maintenance, durable and healthier than traditional granite. There is also ceramic glass tiled backsplashes. 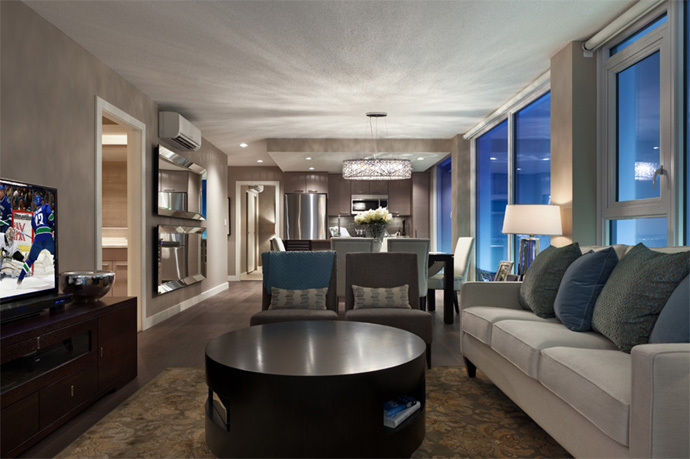 From your living room, you can enjoy the incredible views from inside or outside on your spacious private balconies. The bedrooms in most floor plans are also very large, affording room and space for a king size bed and full size drawers on either side. The bedrooms will have expansive windows that allow plenty of natural light inside as well as premium soft carpeting. 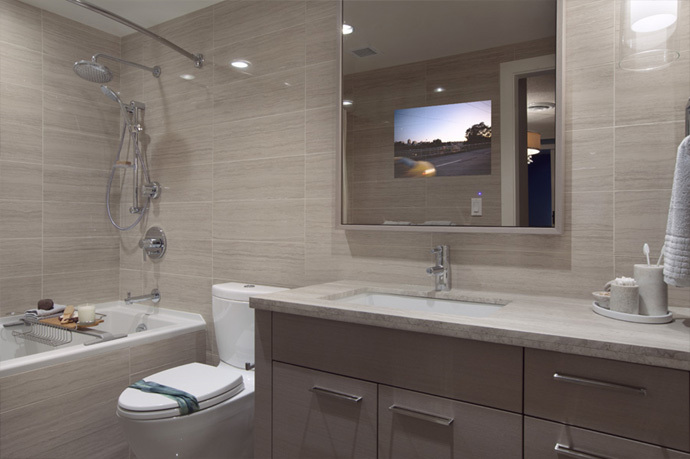 The bathrooms at Altis Richmond real estate development will feature premium vanities (double in some cases), framed mirrors, double flush toilets and deep soaker tubs with rain shower heads. The cabinets are sleek and flat paneled as well. Another impressive interior feature at the new Richmond Altis condominiums is in its advanced technology that far surpasses any other project in the city. Here at the new Altis Richmond condominium project, homebuyers can have full access to SmartHome Technology that will provide a home automation system you just can’t live without after trying it for the first time. This handy way of controlling everything from room temperature to fans and from the home theatre to the blinds is what makes the new Altis Richmond condominiums such a must-see for prospective buyers. 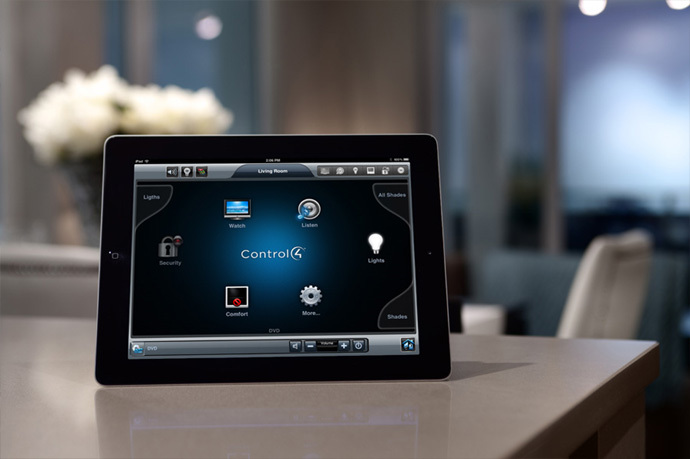 In addition, the home automation system by SmartHome technology will also feature will allow you to enjoy urban living to the fullest and with ease. More information about Altis Richmond Downtown condo tower can be found online at www.altisrichmond.com where you can also register your interest with the sales and marketing team for the developer. The Altis Sales Centre is open at 145 – 4751 Garden City Road Richmond BC and they are open every day except Friday from 12 – 5pm or by appointment.